"Max Verstappen is [19.0] to be the race winner which would be an ambitious punt, but well worth backing at [2.38] to score his third podium finish in a row." Being a Formula One steward trying to sort out a crash must be a bit like a primary school teacher resolving a fight in the playground. You get the idea: "Well, he started it, Miss." "No I didn't, you did." And meanwhile the teacher, who in a bygone world would just knock both their heads together and tell them not to be so stupid, is left with whatever decision she makes being wrong. That's how it ended up in France last week when the stewards gave Sebastian Vettel a five-second penalty for driving into Valtteri Bottas and Lewis Hamilton complained after that it should have been more. He might have had a point, too. Vettel, who likes to give Max Verstappen lectures about his driving, has made a few careless mistakes of his own this season and this was another bad one. Having backed Bottas for a podium finish, as well as correctly supporting Hamilton for the win, I was all for having Vettel hung, drawn and quartered myself. The squabble carries on this weekend at the Austrian Grand Prix and this time you just hope there are no more shenanigans to complicate the picture. Hamilton, having driven brilliantly in France, is the [2.1] favourite for another win which would stretch his 14-point lead at the top of the Drivers Championship. Bottas, however, might just turn out to be the value bet at [7.8]. Certainly this looks like a track to suit Mercedes in the same way that France proved to be. Since F1 returned to Spielberg in 2014, the Silver Arrows have won all four races, twice scoring a 1-2 in the process. It would have been three times, of course, but for the last lap collision between Hamilton and Nico Rosberg in 2016 which left the German driver limping home in a damaged car. As I highlighted last week, Bottas has been improving steadily all season and the Red Bull Ring is a favourite track for him. It was there that in 2014 he scored the first podium of his career while he was still driving for Williams, and he's led more laps on the circuit (72) than any other current driver. It's also worth looking at the progress being made by Verstappen whose second place in France might have been helped by that collision between Vettel and Bottas, but is showing signs of maturing and losing his "Mad Max" image. He's [19.0] to be the race winner which would be an ambitious punt, but well worth backing at [2.38] to score his third podium finish in a row. For the first time he travelled without his family or support team when he went to Montreal two races ago, and there's a feeling that without distractions he became more engaged in the work of his team in the build-up to that race. He normally travels with his father Jos, a former F1 driver, and his manager Raymond Vermeulen but team boss Christian Horner revealed that he'd gone alone to Canada after a team discussion. 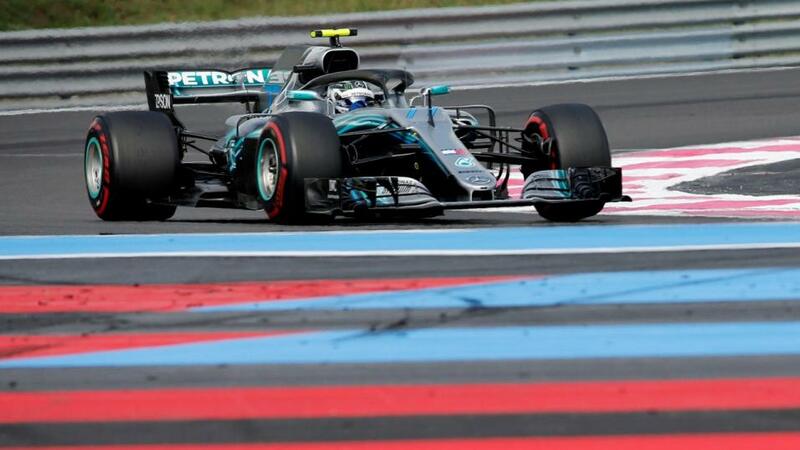 Whatever the reasons he has driven cleanly through two tricky races now - first through the walls close to the track in Canada and then again to stay off the vivid blue lines around the Circuit Paul Ricard. Keep him out of those playground spats and he could show the same form again. Canadian Grand Prix: Can Vettel's engine upgrade help him overhaul Hamilton? Monaco Grand Prix Betting: Is Mercedes boss Toto just crying Wolff?